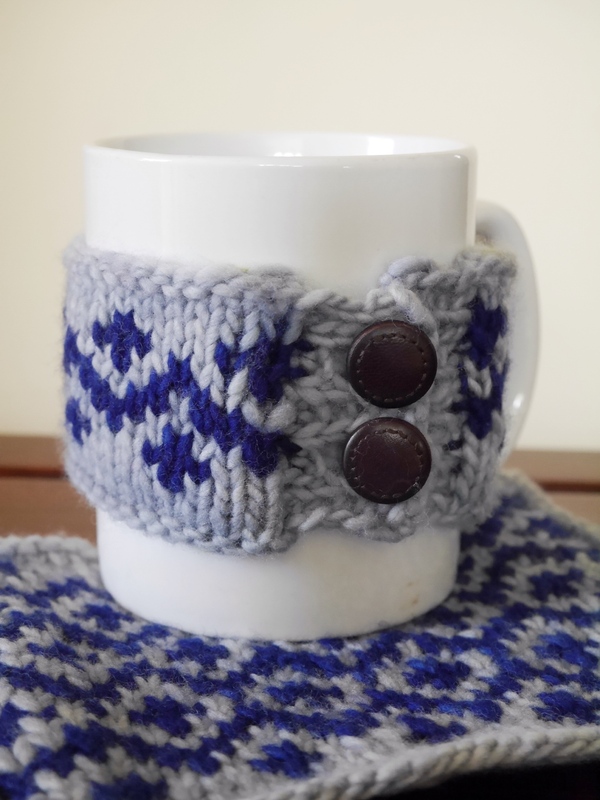 The Bucket List Coffee Accessories feature a steek (area of waste stitches) that is stabilized with slip stitch crochet and then cut. (Fear not; instructions included.) 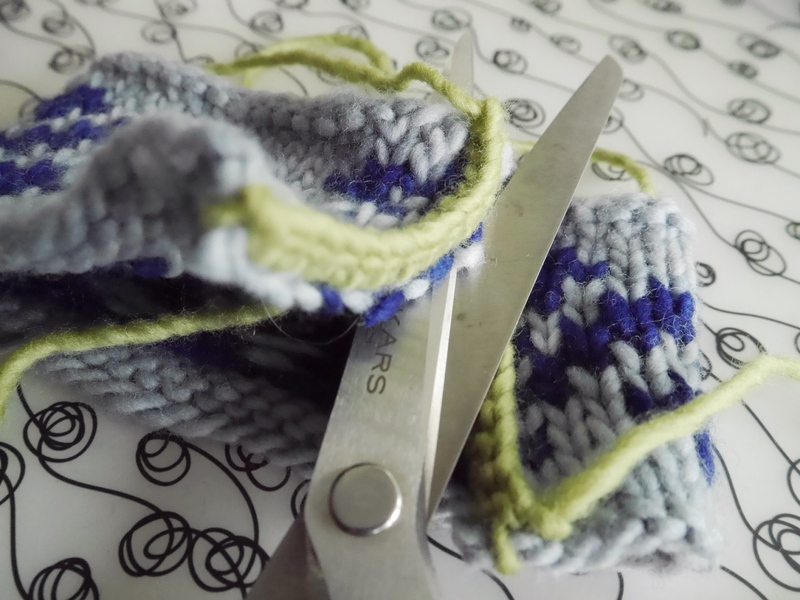 Why would you cut your knitting? Because it’s way easier to knit stranded colorwork in the round with the right side always facing you; no purling back! Both of these pieces are knit in the round with worsted weight yarn, and are a good introduction to stranded colorwork knitting; only 2 colors are used per round. 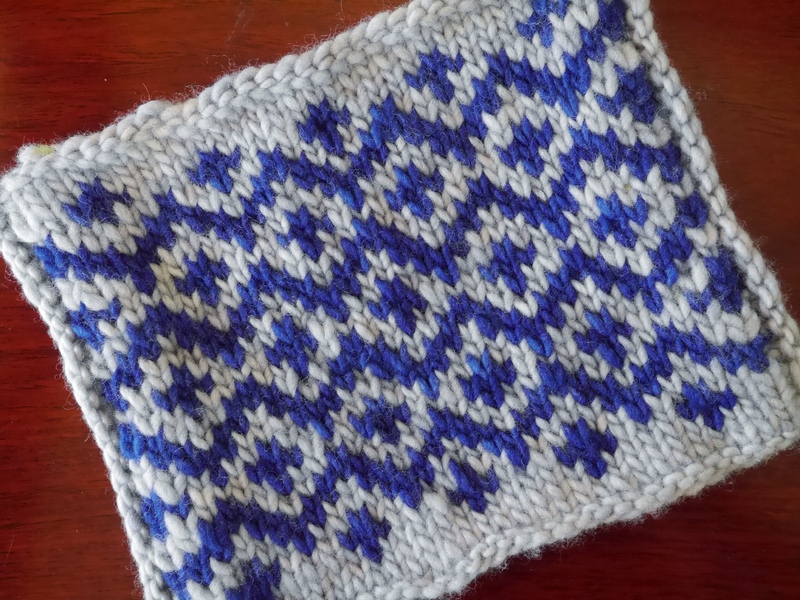 Click this link to Ravelry to purchase this set of patterns for a coffee cozy and a mug rug (coaster).